If you plan to spend a night or two in central Seville, you may have a difficult time. In saying this, there are 3 suitable options available within 10 kilometres. The Wild Cattle Creek Estate and Gracehill are your best options if you'd like to stay close to the main streets. If you don't mind staying 9 kilometres outside of the middle of the city, consider the neighbourhood of Kalorama. It has 4 available hotels, including Holly Lodge and CountryPlace. If you find yourself in need of more options in Seville, look into the Chateau Yering Historic House Hotel and the Lochiel Luxury Accommodation. They are 16 kilometres and 12 kilometres away from the city's main streets. Others are the Candlelight Cottage, 12 kilometres away, and the Adeline Bed and Breakfast, 12 kilometres. If you want to check out some close by localities, think about Lilydale and Dandenong Ranges. Head 12 kilometres to the west from Seville and you'll discover Lilydale. Alternatively, Dandenong Ranges is 12 kilometres to the southwest. 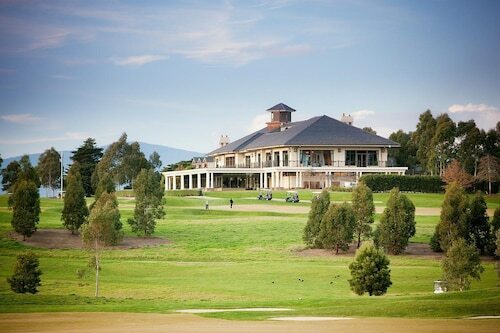 Lilydale hotels include the Yarra Valley Motel and York On Lilydale Resort. The Arnica Views and Moulton Park Cottages are some of the choices in Dandenong Ranges. Get your sports fix by making a trip to Dandenong Basketball Stadium, which can be found to the southwest of Seville. The Atura Dandenong and the Punthill Dandenong are both good options if you want to hit the hay nearby. 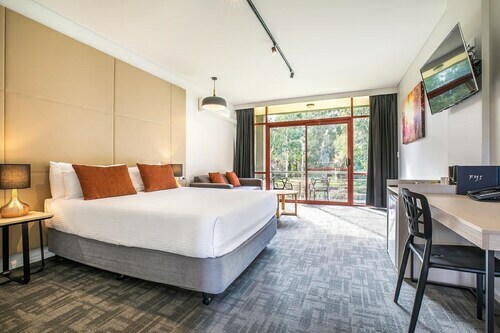 If you are travelling into or out of Tullamarine Airport and looking to stay nearby, check out the latest deals at the PARKROYAL Melbourne Airport or the Holiday Inn Melbourne Airport. How Much is a Hotel Room in Seville? Hotels in Seville start at AU$141 per night. Prices and availability subject to change. Additional terms may apply.